Here's the simple answer: Because we'll treat you like family, and because we'll spend more time working to preserve your hard-earned wealth than you do. If you invest your money for any length of time, you're going to live through a bear market. 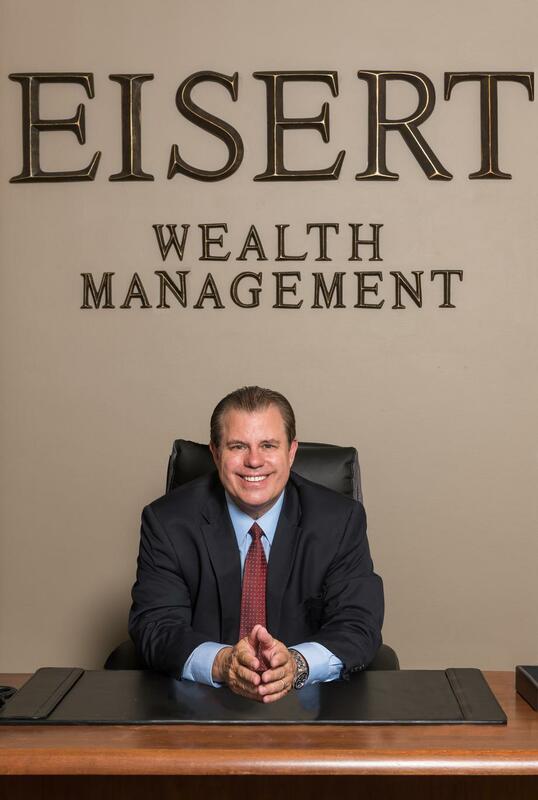 (With over 30 years of experience here at Eisert Wealth Management, we've lived through several.) A bear market is when the stock market goes down 20% or more - and it can devastate your retirement savings. In fact, it takes the average person 44 months to regain the wealth they lose during a bear market! Everything we do is designed and executed in-house to help you avoid the worst of these downturns, so you can keep growing instead of constantly starting over. Think of it like this. When most people invest, they're essentially building a house of cards. Painstakingly placing one card on top of another, slowly over a period of years, hoping that by the time they're finished, they'll have enough to reach their goals. Then a bear comes - and just like that, the entire house falls down. Suddenly, you have no choice but to start all over. But you don't want to build a house of cards. You want to build a future. Our job is to help protect it. Analyze market trends. Is a particular investment, asset class, or the market as a whole trending up, or is it trending down? Put in place a series of rules that determine at what point in a trend we decide to buy, and at what point we decide to sell. For example, if an investment trends down below a certain price, we follow "the rules" and sell. Period. If an investment trends up above a certain price, we buy. Most financial advisors don't do this. They keep you 100% invested 100% of the time. That's fine when the markets are riding high. But when the markets go south? You'll have to sit and watch the value of your portfolio fall, hoping the slide will soon end. Understand, all investing comes with risk. There's no philosophy, strategy, or method that can remove all risk from the stock market. What we can do, however, is put as much focus on preserving your money as we do growing your money. Whether you're already wealthy or just starting out, here at Eisert Wealth Management, we understand that everything you earn, save, and invest goes into building your ideal future. So why invest with us? Because we will work tirelessly to help protect that future. Because we will always treat you like family - which means we'll be there for you in both good times and bad.